Oswald Homes is widely regarded as an industry leader for custom luxury homes in Perth. Our passion for excellence in design and craftsmanship has led us to be involved in some of the most innovative homes in Western Australia. It is also what has led us to receive numerous accolades for our work. Made for moments. As exclusive custom home builders in Perth, at Cambuild we don’t focus on quantity – we only ever take on eight custom home projects per year. Instead, we concentrate on luxury and quality. The quality of our customer care. The quality of our workmanship and materials. And the quality of our bespoke single and two storey home plans and designs. At Prima, we produce the finest results by exemplifying a spirited drive in everything we do – Designing With Purpose, Building With Passion. It's the Prima promise to you. Before construction begins we take the time and care to listen to your requirements, exploring possibilities and providing intelligent, creative solutions, together – the way any good family or partnership operates, in order to create a home that you can enjoy and that we can both be proud of. Our passion lays in building quality homes, providing you the highest level of customer service from our first conversation to the completion of your home and beyond. As with all pursuits of passion, we love hearing from you and are always contactable no matter how many years after your home is completed. Erban Development is an award winning, boutique custom home building company specialising in quality living spaces and sustainable urban development within Perth’s existing suburbs. Our focus is on functional design, progressive building practices and attention to detail to create a custom home that suits your individual style and personality. With a passion for clever design, our construction expertise and a collaborative approach to our work, we ensure every element of the process and build is considered. Visit www.erbandevelopment.com.au to see more about us and what we do. Grand Cru Developments is a fresh and enthusiastic builder in Perth, specialising in custom designed homes for all situations. Our business is driven by a vision to build exceptional custom homes with each design an individual journey, a journey to a destination that’s defined by you, our client. Our personalised, 'turnkey' service ensures you receive an exceptional building experience with the highest quality of workmanship. After many years in the industry, Grand Cru Developments was founded by the company Director, Vito D’Angelo during 2008. 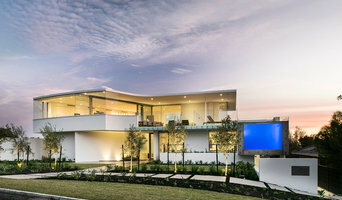 Since then, the business has continued to excel and has built a solid reputation for quality and design in the custom new home industry in Perth. Experience has shown me that integrity of materials, craftsmanship and the employment of qualified, trusted professionals result in homes whose design and building quality are second to none. As someone who has very high expectations of himself, Vito works closely with his team and personally inspects each home to ensure it is delivered on time, on budget and to the quality he is known for while catering for the importance of creating a home that is comfortable all year round and minimises energy consumption with all of our new homes and the correct orientation of your home ensures that it maximises the full solar aspect of your site. We respect the need to develop environmentally responsible construction technology through utilising the most sustainable building practices available. Custom Homes We are different in how we align our interests with our clients every step of the way, working tirelessly to realise your vision and make the process straightforward and worry-free. We take great pride and are very passionate in this undertaking. Demolish & Build If you have an old home, we will achieve your dream of having a brand new home in your favorite street of your favorite suburb. Developments For investors, our reputation is built on a commitment to excellence in everything we do to ensure our properties have long term growth potential . Brian Burke Homes is dedicated to building upmarket, very high quality homes. We are acknowledged within the market place as leaders in construction, being highly regarded for our quality product in which we incorporate the latest technologies and design innovations utilising only the best materials and skilled tradesmen available. We design individual homes that reflect clients’ particular needs, lifestyle and desires. We extend personal service from the initial inquiry, through the consultation and design process, into the construction stage and full follow-up service. Our small number of employees ensures that all clients are on a first name basis with each staff member. Our commitment to our client is shared and understood by all. You – Our Client – are our reason for existence. Our refusal to compromise on quality has yielded results that have never been matched by any of our competitors. Since being established in 1982 Brian Burke homes has won 130 awards for excellence over 31 years including 2012 National Residential Master Builder of the Year. These METROPOLITAN, STATE AND NATIONAL awards from the Master Builders’ Association and the Housing Industry Association carry enormous prestige both inside and outside the housing profession and are never given lightly nor earned easily. To ensure a continuation of the quality that has become our hallmark, Brian Burke Homes approaches each new project as if it is to be another award winner. Brolga creates stunning homes that are inspired by the rust-red ranges, limestone cliffs and turquoise seas of Australia. Ours is unique country and one that deserves unique homes. 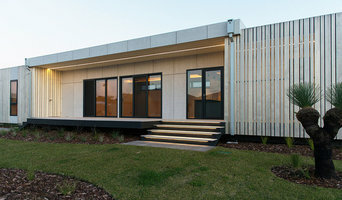 Design and build your new home with Brolga and it will be much more than a place to live, it will be an inspiration.We have also had the privilege to work with some of Perths best Architects to bring their creations to life. Brolga forged a name for itself in the Kimberley and has been involved in hundreds of building projects since 2001. This award-winning company (three HIA and three MBA awards in 2015 alone) offers a range of building services including design and construction of new homes, renovations and interior fitouts. The team who work at Brolga have more than 110 years combined experience in creating innovative homes. They pride themselves in being upfront, available and friendly. Service is unpretentious and reliable – a no bull dust approach that is as Australian as the homes they make. By offering creative yet practical design solutions together with individually managed construction Kensington Design provides a cohesive and comprehensive approach to designing and building homes. Comprising a small team of 5 dedicated and experienced professionals each project is carefully and expertly managed from the initial design enquiry through to handover of keys on completion. In addition Kensington Design has won the John Pietersen Award for Custom Designed Homes 3 times and has been awarded the Building Designers Association WA Excellence in Design award twice. Kensington Design has also received awards for Heritage and Conservation. Kensington Design’s focus is solely on residential projects. The variety of work undertaken includes new homes, additions, conversions and group developments. Undertaking only 10 -12 new projects per year with construction budgets ranging from less than $100,000 - $2,000,000 plus, our company is able to focus on attention to detail and customer service with the objective of ensuring that client expectations are not only met, but exceeded. WHY BUILD WITH US? When you'll choose to build with us you’ll find that our team and trades people are fully qualified and experts in the area.. But that's just the beginning. Here are just a few of the reasons why you should choose to build with us: • We treat every customer with respect. We consider every building transaction of critical importance. • We offer the industry's highest-quality products at the lowest-possible prices. • We back every product with a rock-solid satisfaction guarantee. • We offer the most complete product information. • We provide our customers with information---on the phone, or on our web site—to make informed choices • We have established BUYING POWER, which means we can buy products at prices far below our competition---and pass the savings along to you. • We offer our customers frequent updates on the progress of the development. ABOUT OUR COMPANY Ausmak Holdings Pty Ltd- began trading in 2005 as home Building and Construction Company. We provide a range of services including: A range of building services- renovations, extension, commercial, additions and new homes General building work Construction project management services Building designer services Unit development Ground floor extension and 2nd storey addition services Structural engineer services Just because we offer the industry's lowest prices doesn't mean we skimp on service. In fact, it is because we take care of our customers-and you continue to support us with your business that we're able to use our buying power to get you the best deals. So when you call us or log onto our web site, you're doing business with a company that is enthusiastic, building more, and about matching our costomer's expectation. And we intend to continue serving you every day. We are a small family owned company with a focus on designing and building unique, high quality homes for our clients. We strongly believe that building should be an exciting and painless experience, and we encourage this with every home we build. Building on challenging sites is our specialty; with many of our homes built throughout the Perth hills we have immeasurable knowledge and experience in constructing on difficult sites, as well as more ‘typical’ sites throughout the Perth metro area. Gary Green and his team have been working together for decades, so our clients receive an outstanding level of service only achieved from working with a tight knit team. We are passionate about what we do and pride ourselves on exceeding our clients’ expectations. And most importantly, we never lose sight of the fact that we are building for you, not for us – we listen to you and work hard to incorporate what is important to you into your design. Attix are Perth's only registered builder who specialise in converting wasted roof spaces into additional storage or living space. As a master custom home builder of luxury homes, Imperial Homes has upheld a tradition of excellence for over 30 years. Through collaboration with the finest architects and dedication to impeccable craftsmanship, our passion for quality is evident in every home we build. Tru-Line Construction are Perth-based builders specialising in new homes, alterations, renovations, extensions and carpentry. We're on a mission to build beautiful environments people love to live in long-term. We don't just construct projects - we build dreams. Talk to us about building your dream home. Australian Renovation Group (ARG) specialises in custom designing and building high quality additions and alterations. We understand that renovating your home, no matter how large or small the project, is a very important decision for you. Therefore, we want you to be excited by the building journey and enjoy a positive experience. We ensure this happens for you by offering a personalized service at every stage of the design and construct process, which is customized to suit you and your lifestyle. It is this overall experience that sets us apart from other builders – we treat your home as if it were our own. Our down to earth, friendly way of doing business ensures that we build a close relationship and provide you with an end product that is authentic and long lasting. Firms that can carry out both design and construction in Perth, Western Australia take on the combined responsibilities of an architect, draftsman, construction company and additional contractors, providing one point of contact for homeowners. Having one entity responsible for the entire design and build, from estimation to subcontracting and even post-construction, streamlines and often speeds up the project significantly. Having a unified project team can also help you avoid unforeseen costs and delays in construction. In addition, the homeowner only has to interpret one contract with the design and construction firm, and not with various architectural design and contracting professionals. However, depending on the firm, you may still want to contact an interior designer or architect to help create the exact look you want. Here are some related professionals and vendors to complement the work of design & construction firms: Interior Designers & Decorators, Landscape Architects & Designers, Architects, Photographers. Project management demands time, skills and an eye for both detail and efficiency. While many homeowners choose to manage their own projects, they can often regret their decision once the build or home improvement project is complete. 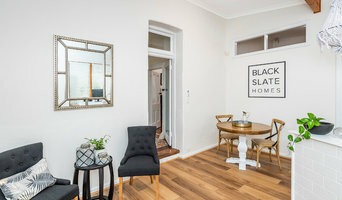 Homeowners should carefully consider the time they have available to allocate to locating, hiring and eventually paying every contractor who enters the site. From certifiers to roofers, and even your draftsman, a firm that can undertake design and construction in Perth, Western Australia benefits from having all of these home professionals under one roof. Find a Perth, Western Australia design-build firm on Houzz. Scroll through this page to find design-build firms in your area. You can browse recent projects, read reviews and message the firm directly. 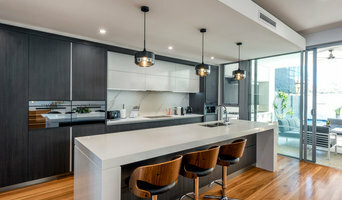 Another way to find a firm that can carry out design and construction in Perth, Western Australia is to browse Photos on Houzz. If there’s a photo you like, find out who designed and constructed it and strike up a conversation with the professional responsible.